December 14th in Plugin Lists by Wordpress Jedi . September 22nd in Wordpress Plugins by Wordpress Jedi . Plenty of people prefer listening to articles instead of reading them. Thanks to plugins like ResponsiveVoice, you can add voice to your site. 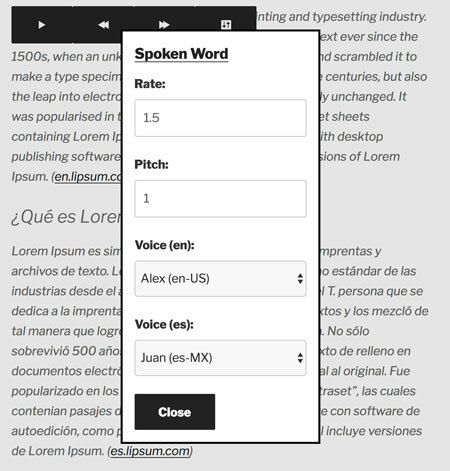 This text-to-speech plugin allows your visitors to listen to any post or page with the tap of a button. April 8th in Wordpress Plugins by Wordpress Jedi . 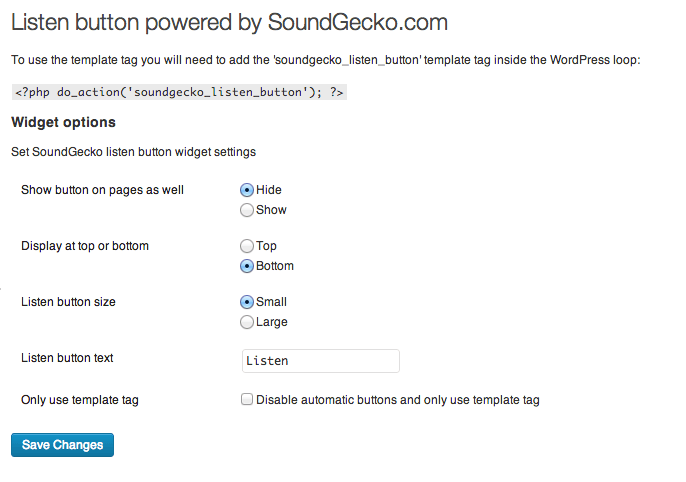 So you would like your visitors to be able to listen to your content? Spoken Word for WordPress can help. It comes with easy playback controls, read-along highlighting, and customizable speech speed and pitch settings. 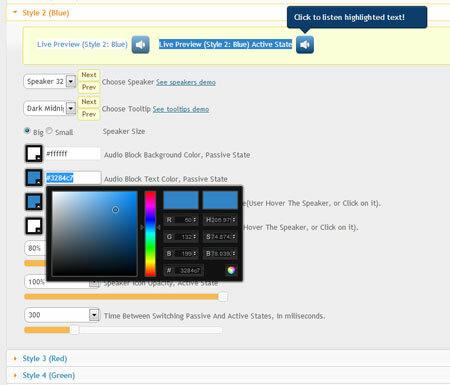 You can add pauses along the way to offer a better experience to your visitors. January 1st in Wordpress Plugins by Wordpress Jedi .